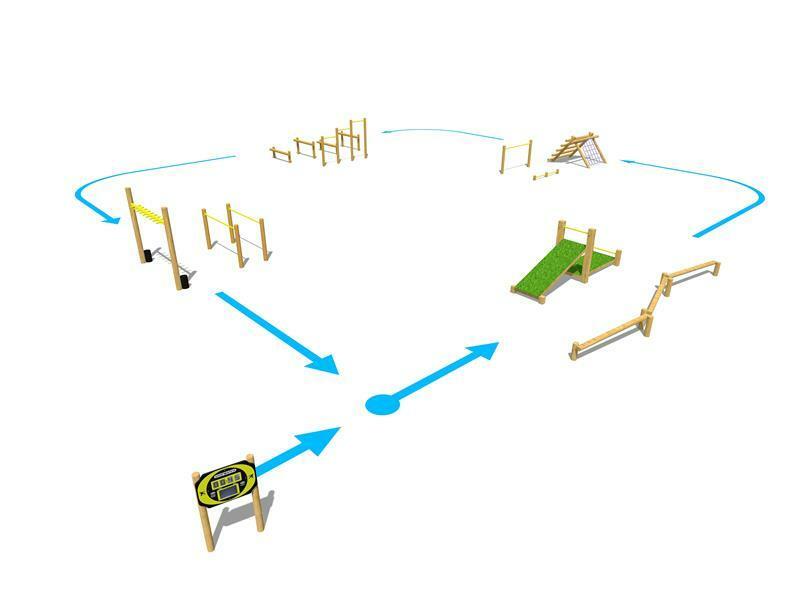 A Fun and unique concept on outdoor fitness equipment for schools... who can set the best time around our Fitness and Assault Course? 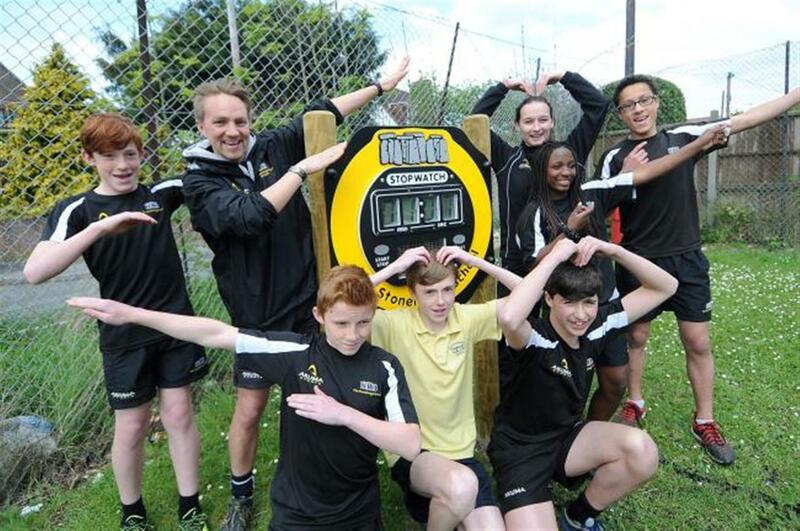 Stonehenge School wanted to create an outdoor environment that promoted both an active and healthily lifestyle but after being inspired by the TV show Ninja Warrior, they wanted something a little different. James Collis-Pritchard met with the school to help bring their vision to life and the outcome is a challenging and eye catching Fitness and Assault Course. The assault course is aimed at the school's KS3 students (11-14) and has physical challenges ideally suited to develop children in their age range. We created a grueling course with obstacles such as balancing beams, log climbers and monkey bars that each challenge the children in different ways and help develop different muscles and gross motor skills. It not only offers s a place to develop children physically but also offers them a place to socialise by competing against each other as well as experiencing elements of teamwork. Children can record there times by slamming their hands on our Solar Powered Stop Watch at the end of the course. It's a great way to inspire children to set a record time and also motivate others to beat it. The competitive nature of the challenge will engages children to get fit without them even realising it. StoneHenge School decided to hold their own Ninja Warrior Event to launch their new assault course. Pupils in years 7, 8 and 9 took part in heats during their PE lessons to see who could complete the new assault course in the quickest time. The top three boys and girls of each year group went through to the grand final and the winner received a brand new PE kit. Year 9 student Finley Lloyd Gilmour won the contest with a record competition time of one minute and two seconds! The day was a huge success and since the launch, the assault course has been used regularly at break and lunchtimes as well as before and after school by students in all year groups. Our Fitness and Assault Courses are becoming a popular alternative to the more common outdoor fitness equipment and schools and parks are benefiting from them massively. Contact Us to find out more and we'll work with you to create your own unique Fitness and Assault Course. Read all about Pentagon Play's fun assault course challenge at Peover Park... dressed as 118 characters!! !